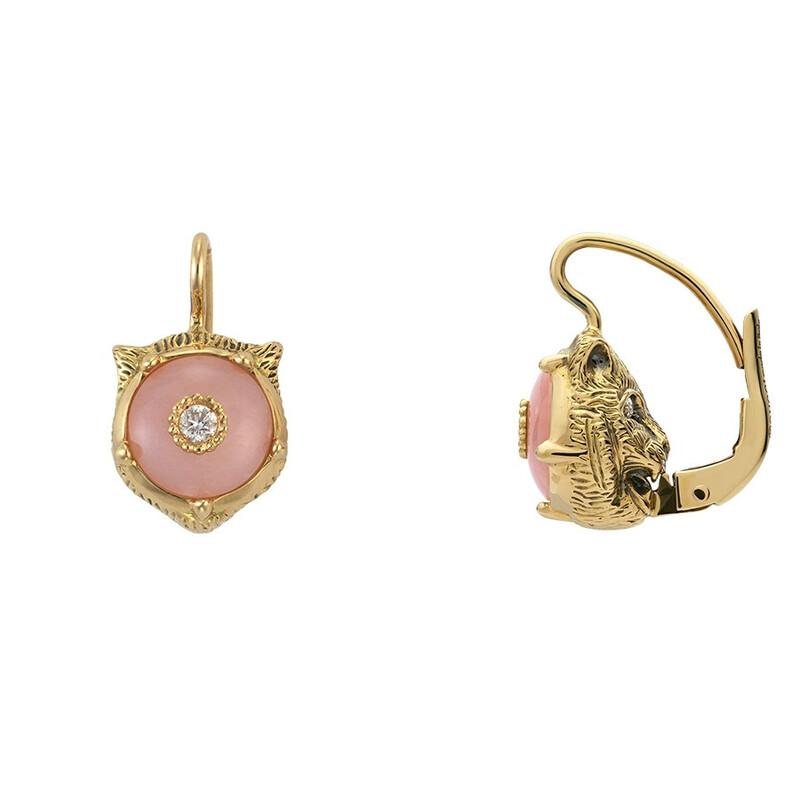 Inheriting the characteristics of superb quality, these Gucci Le Marche des Merveilles feline head earrings are turning the heads of fashion experts everywhere. A seemingly typical design on the front highlights a gorgeous pink opal resting beneath a glistening diamond. 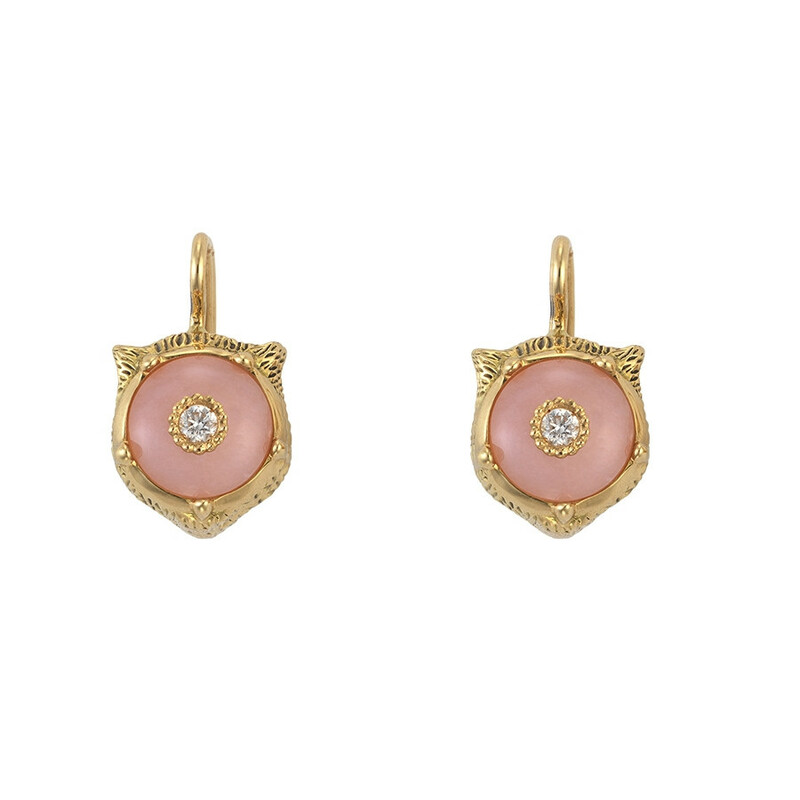 However, on the reverse side of these earrings, you will discover an intricate depiction of a feline with diamond- set eyes. Allow Gucci to incorporate their unique way of fashion-forward thinking into your authentic lifestyle.